Marlin fishing slowed in late March, but was back to normal in April when the run of yellowfin tuna arrived. 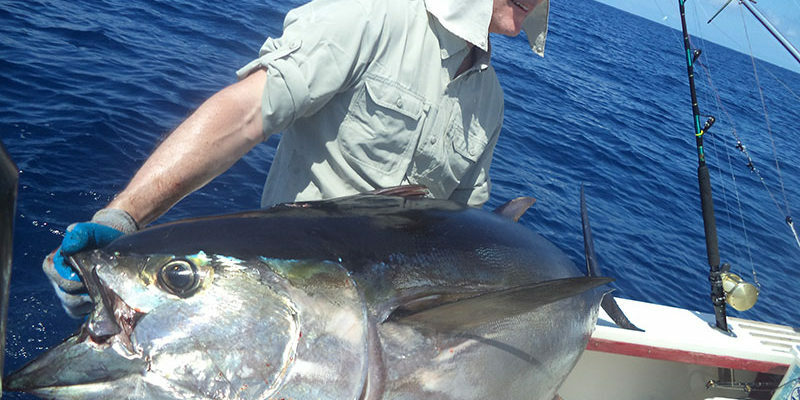 Large schools of 50kg tuna, with some to 100kg, are now on Hannibal Bank and are even being caught on poppers. Inshore fishing remains consistent, with cubera snapper and roosterfish the main quarry. 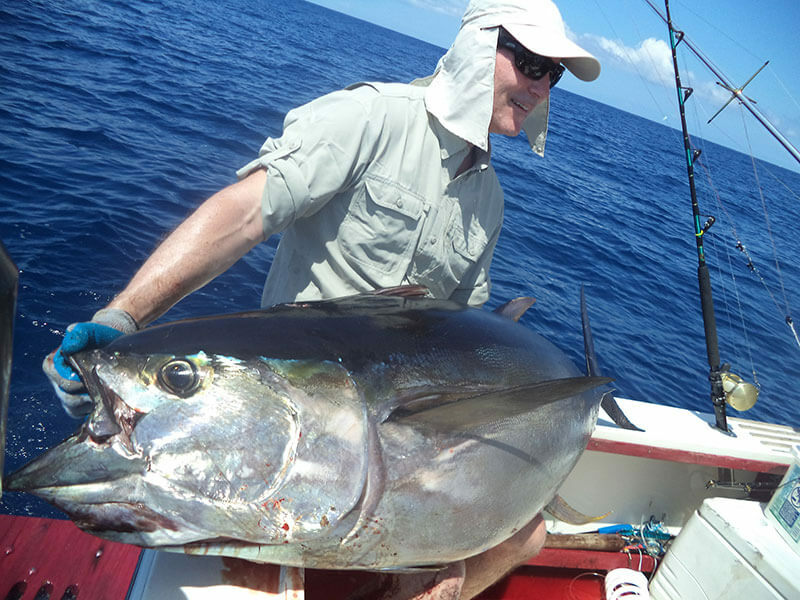 We expect the larger yellowfin tuna to remain until the end of June at least, giving lucky anglers the fight of their life, including the teams on the BlueWater Readers’ Trips in May. Blue marlin will follow the yellowfin so we expect some good action with them when not chasing tuna.